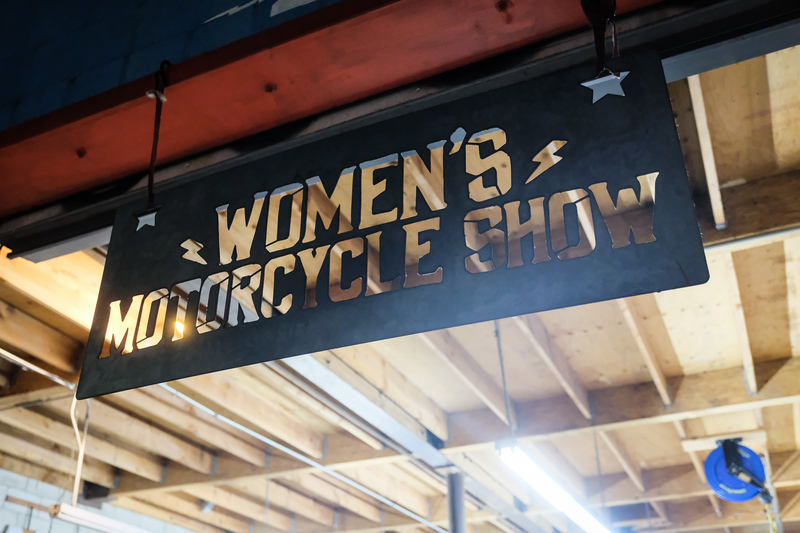 The fourth annual Women’s Motorcycle Show on January 12, 2019 was a total blast! 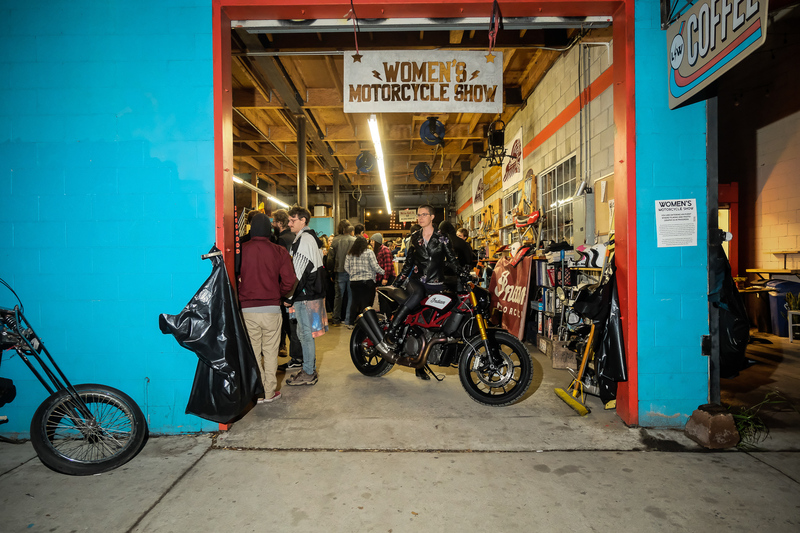 Bigger and better than last year, we expanded the show into the alleyway of Miller Electric next to Lucky Wheels Garage (where the show has been since it’s inception), doubling overall space as well as adding a VIP motorcycle parking area. 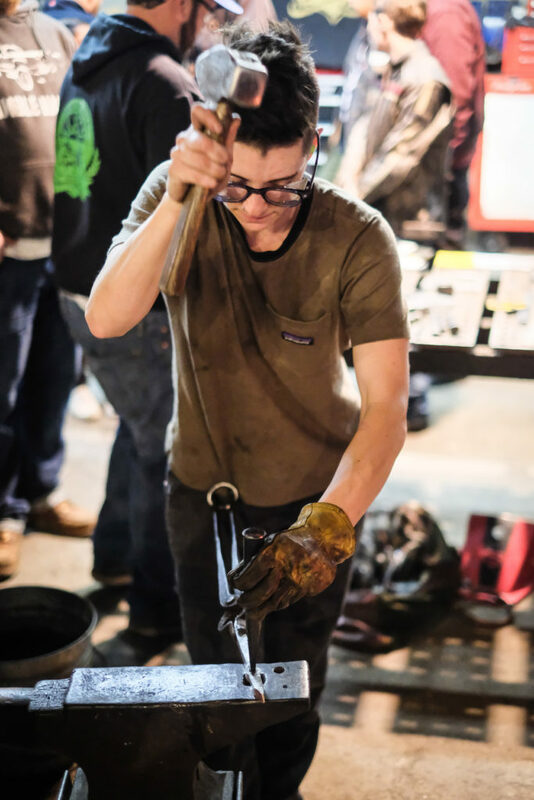 With custom motorcycles built by and for women, three bands, a full bar, BBQ food truck, amazing raffle, and demos from Real Deal, there was something for everyone to enjoy. 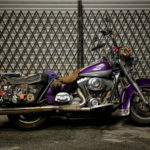 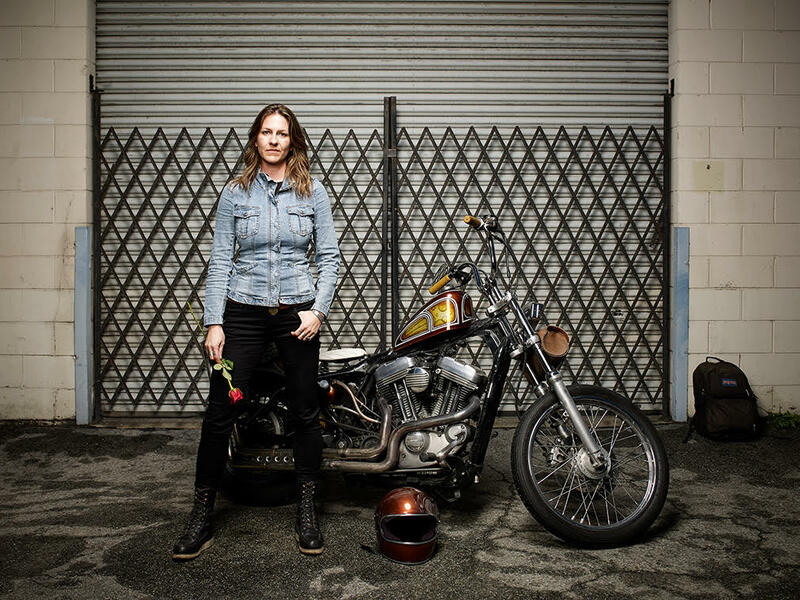 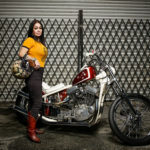 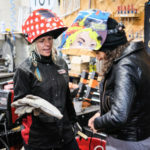 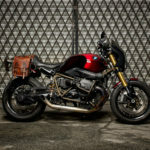 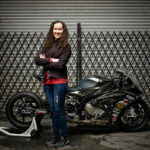 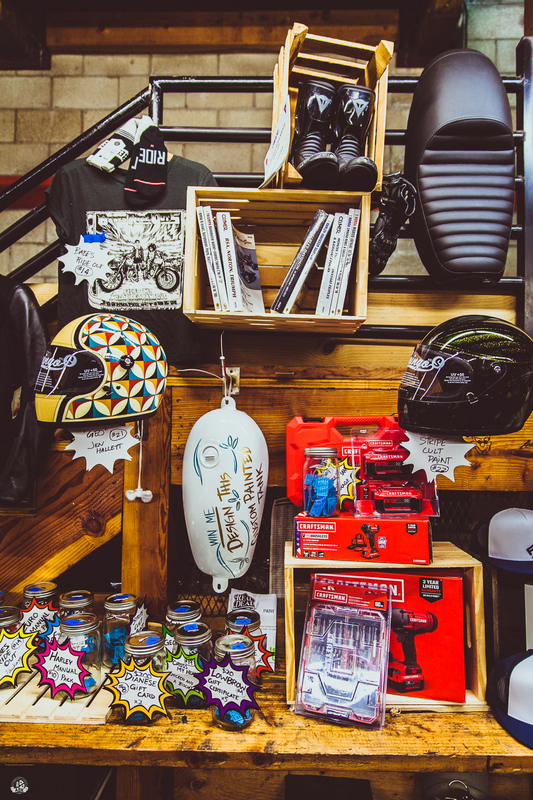 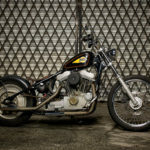 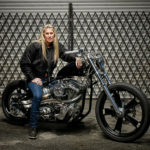 An estimated 3,500 people came through Women’s Motorcycle Show 2019 at Lucky Wheels Garage in Downtown Los Angeles. 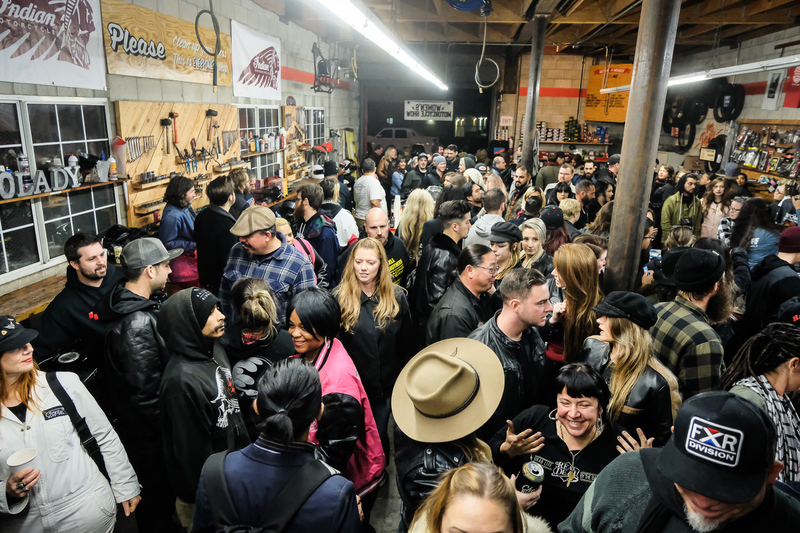 People started rolling in even before the doors officially opened at 6p, and by 7p the whole place was packed. 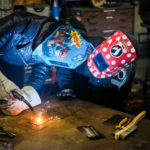 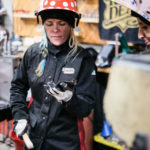 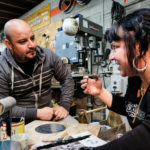 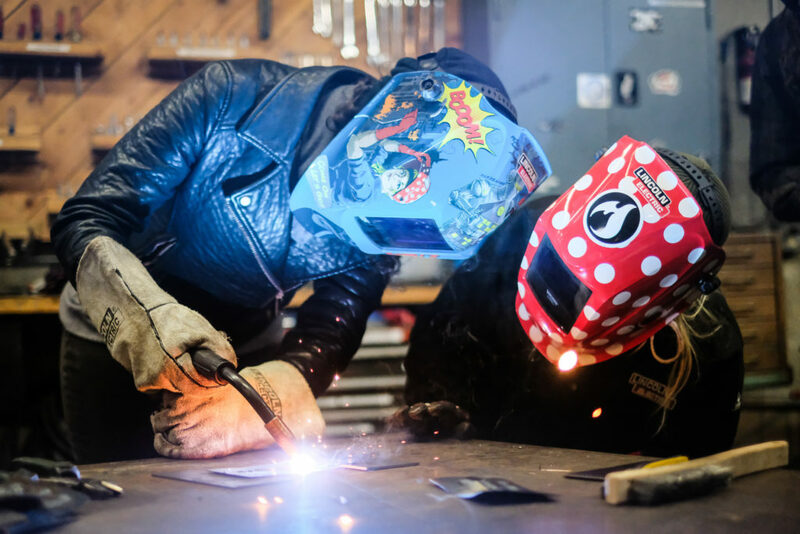 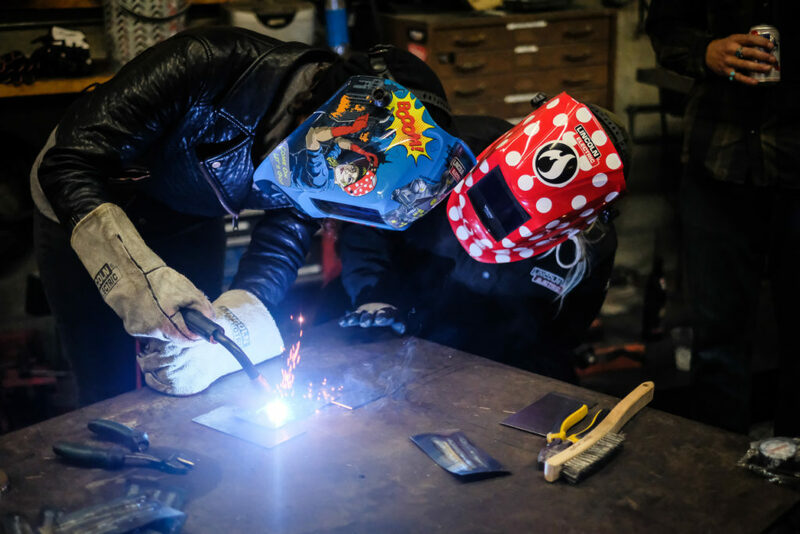 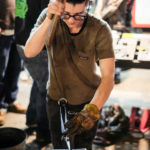 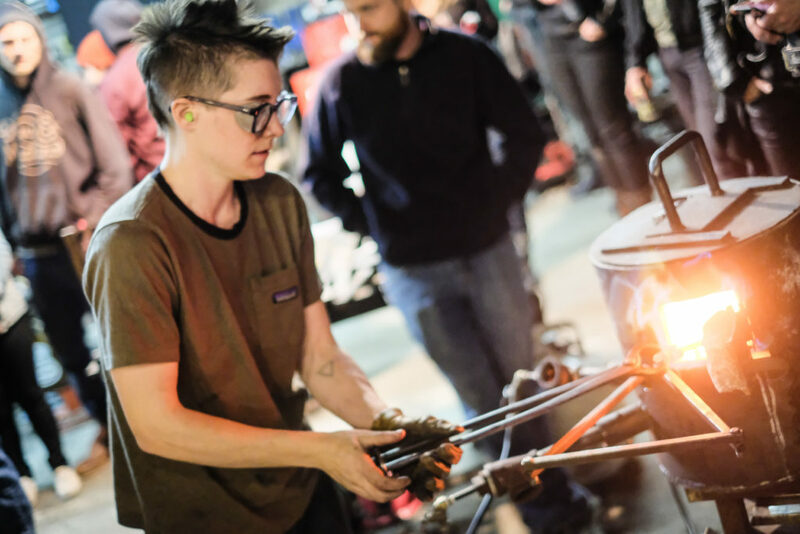 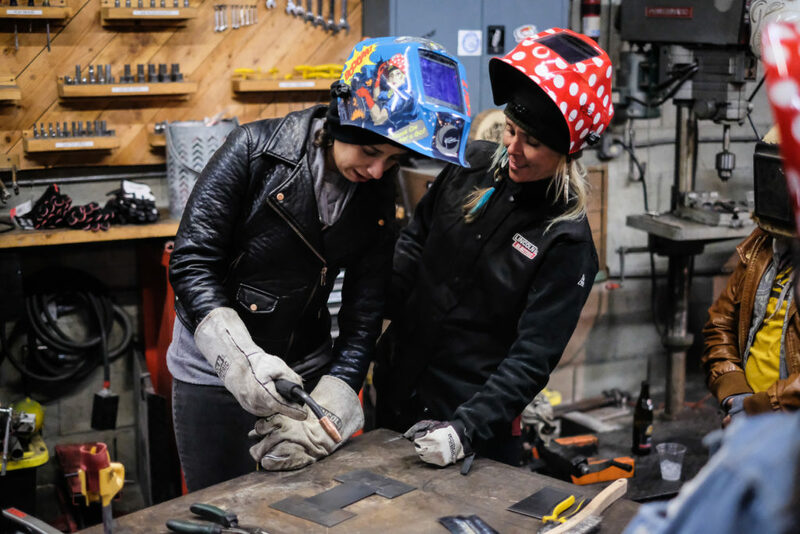 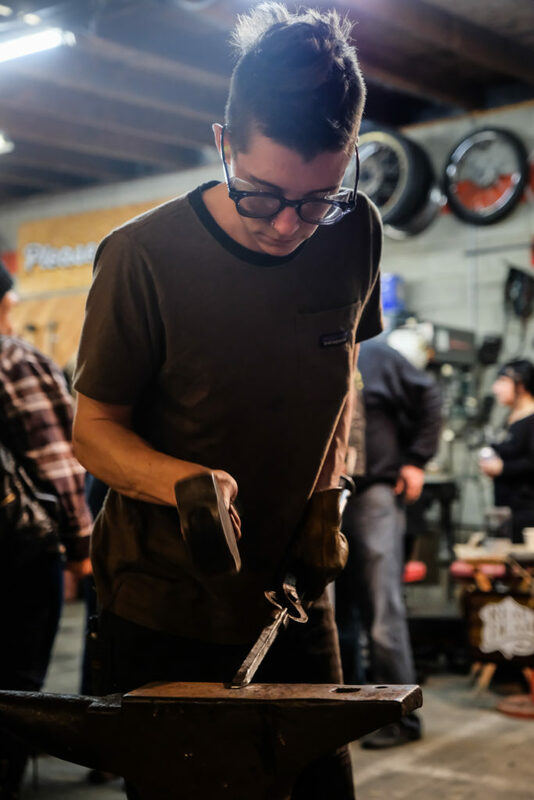 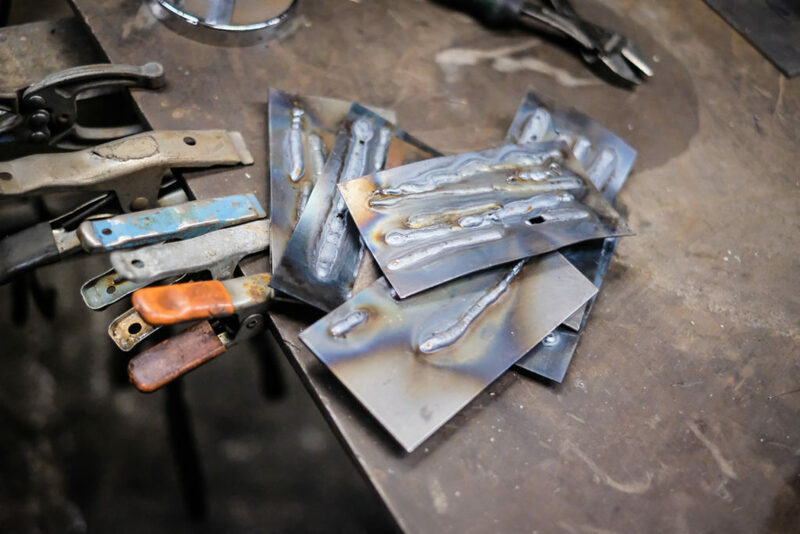 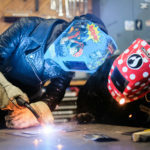 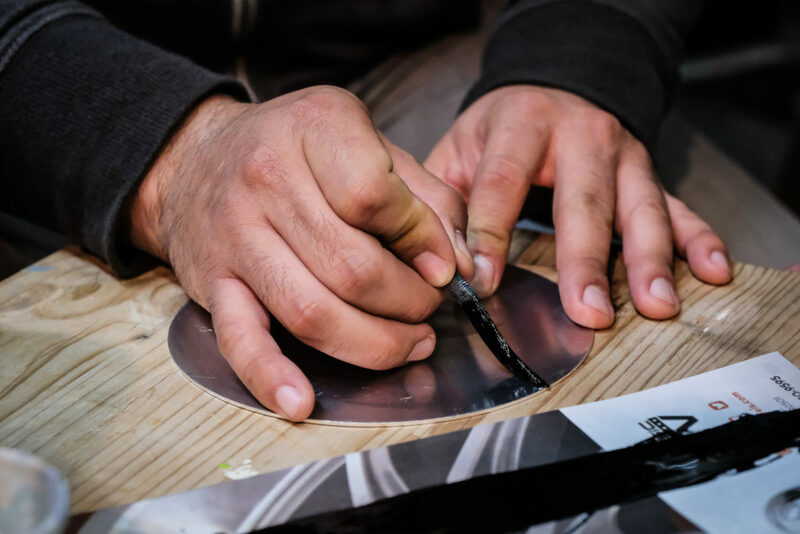 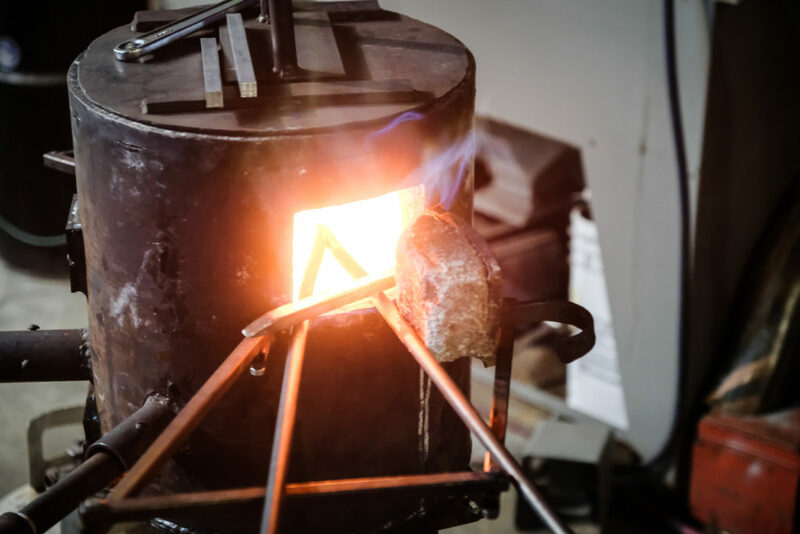 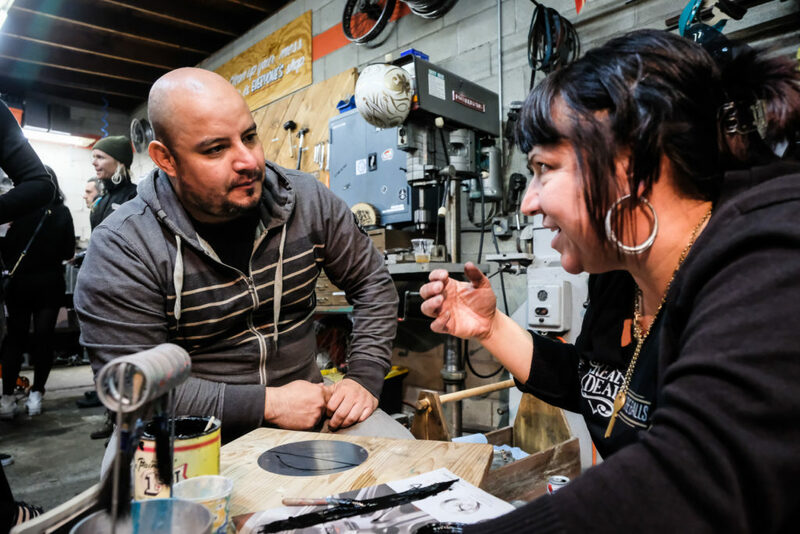 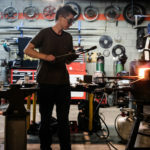 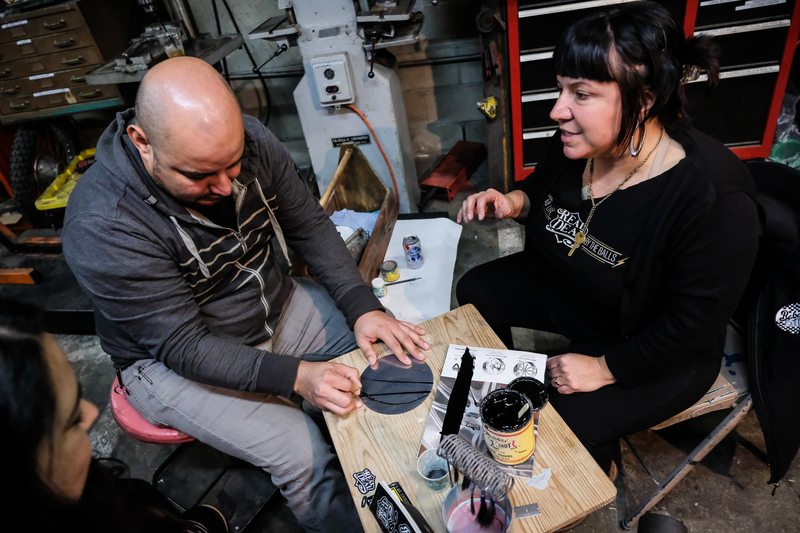 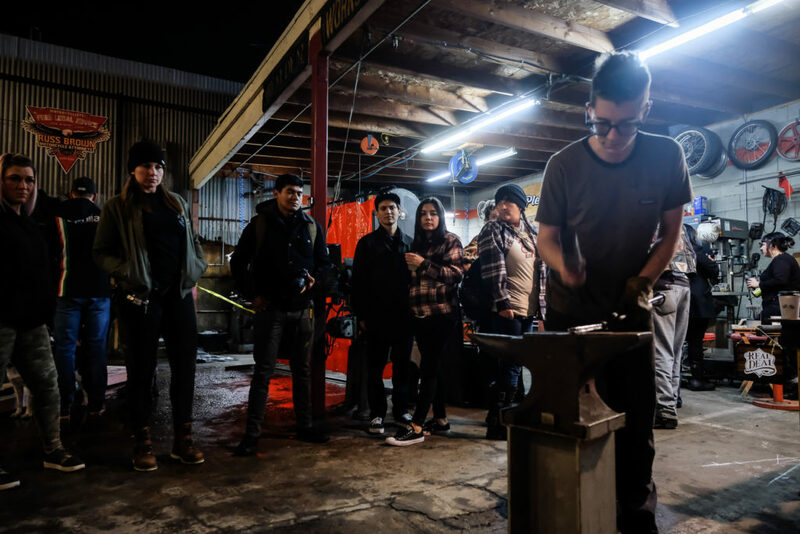 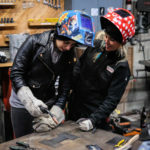 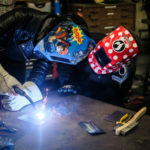 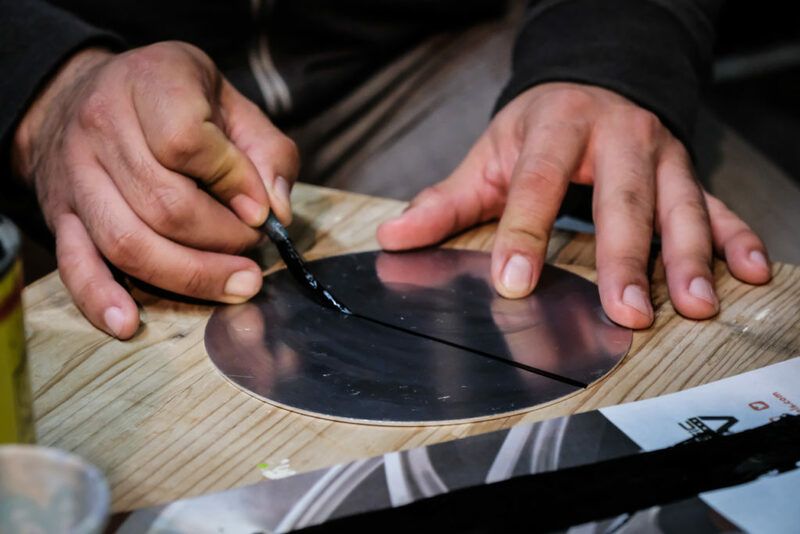 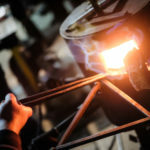 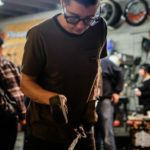 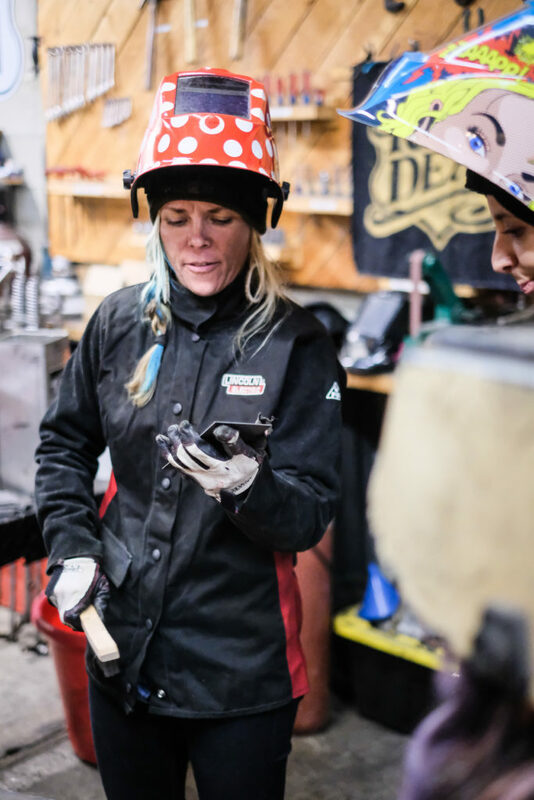 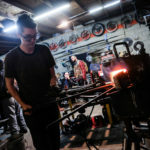 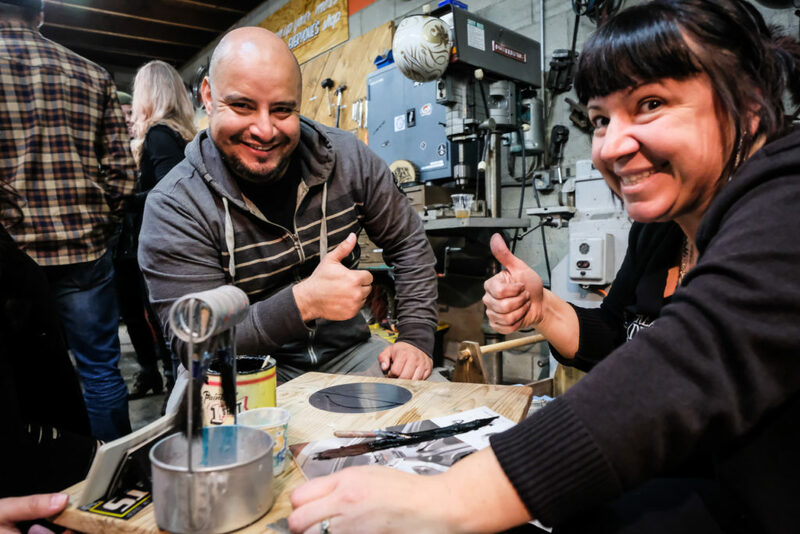 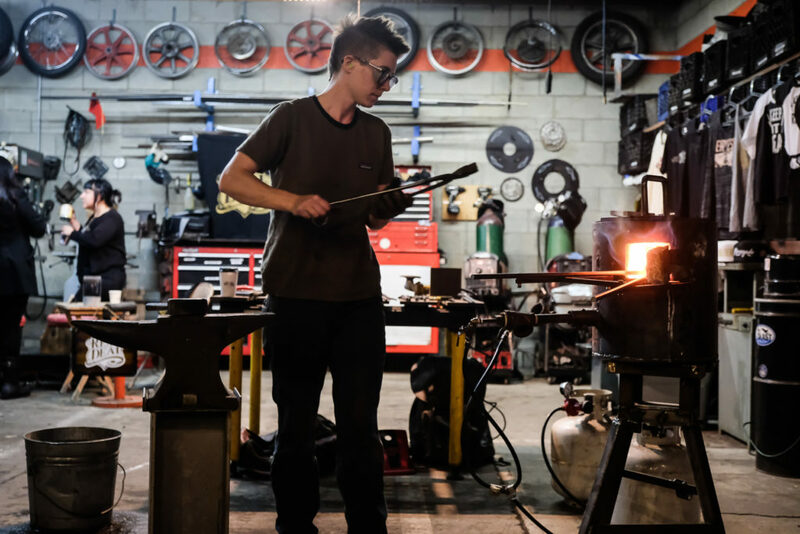 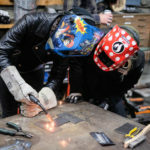 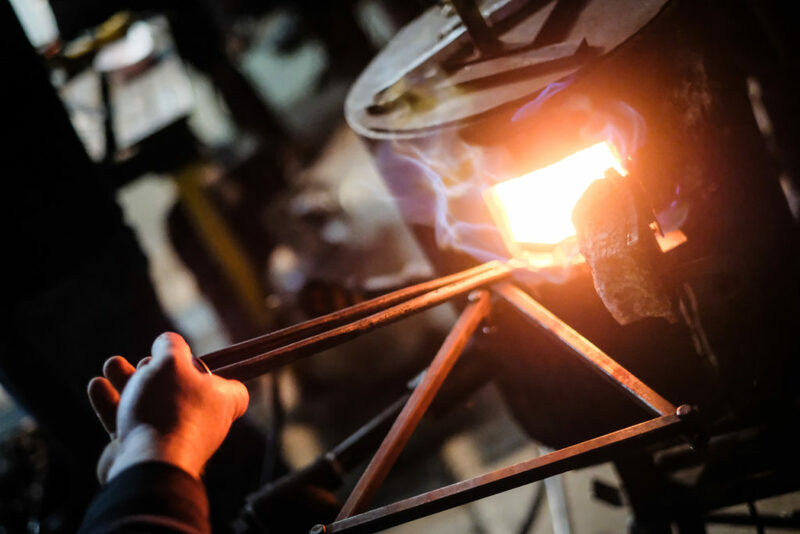 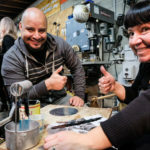 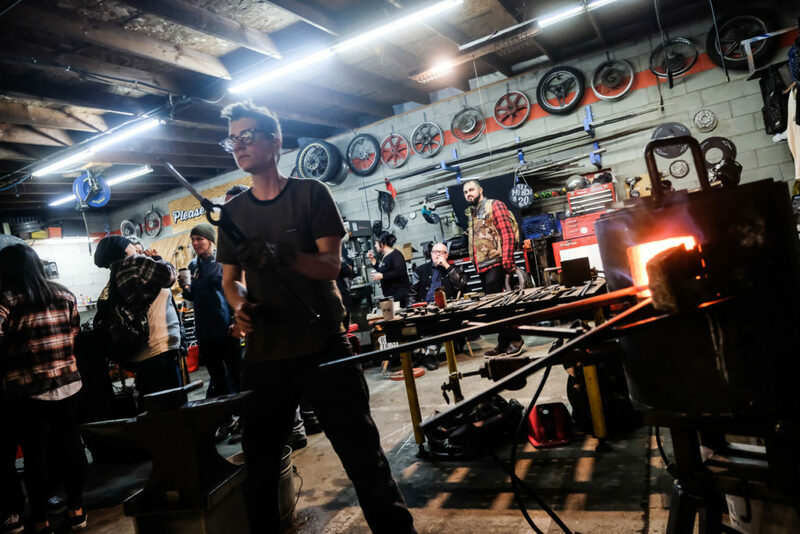 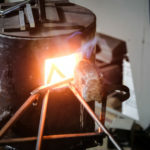 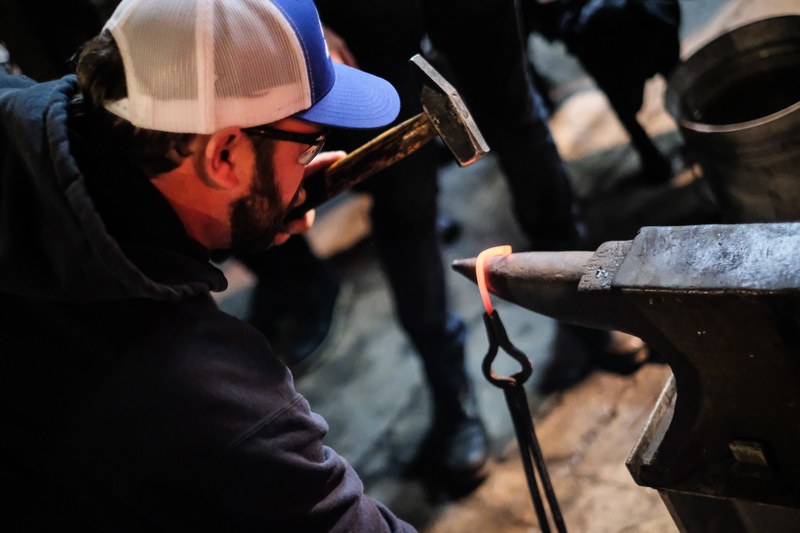 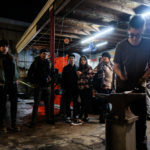 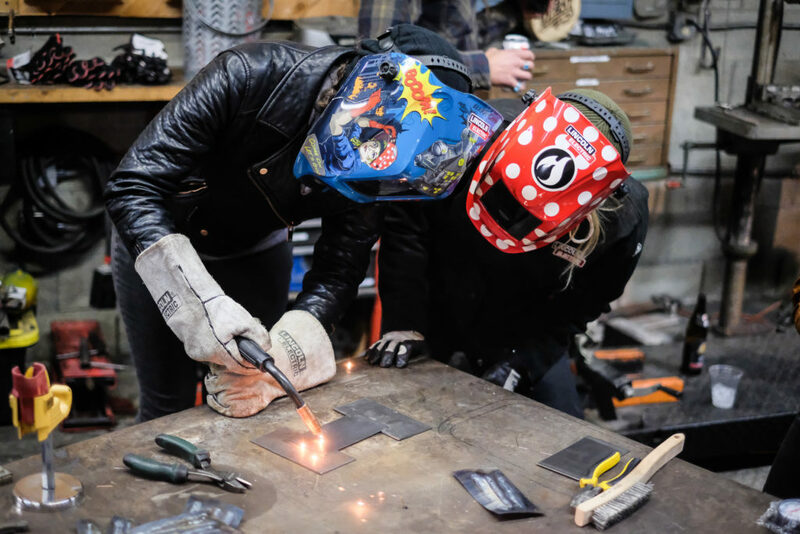 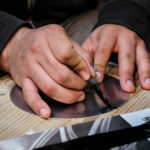 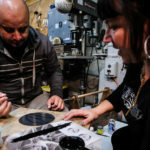 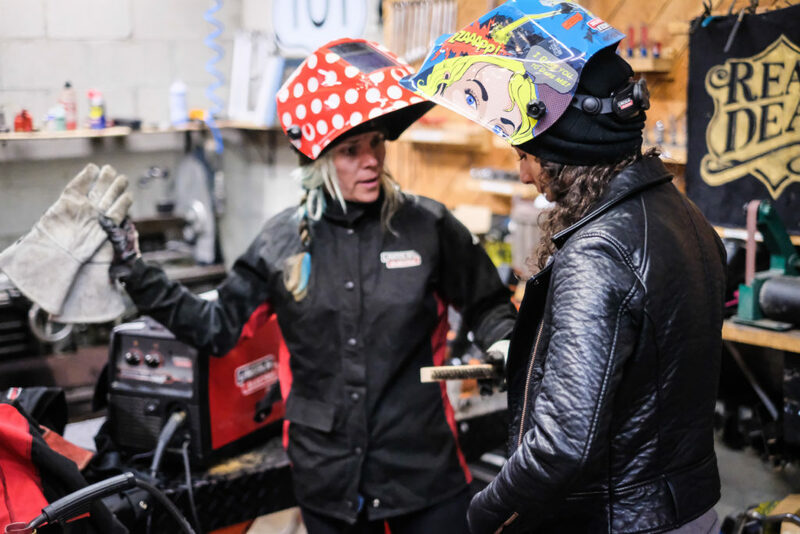 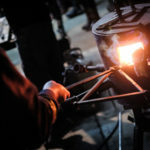 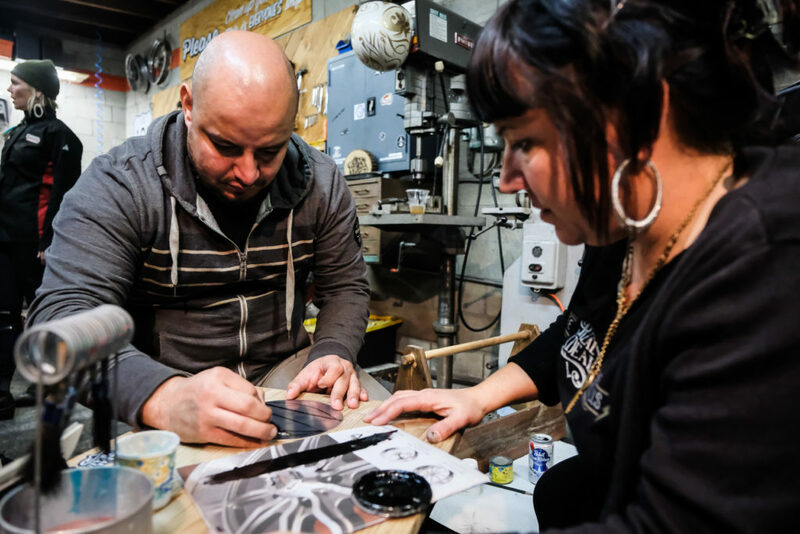 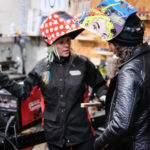 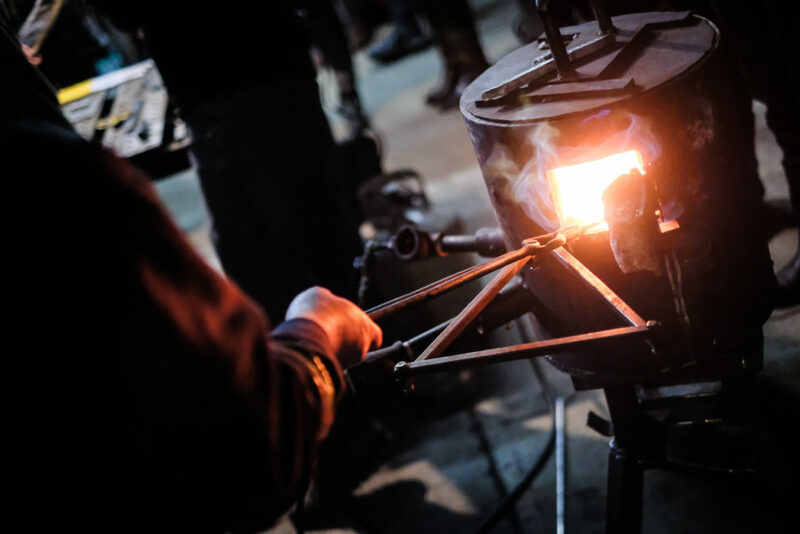 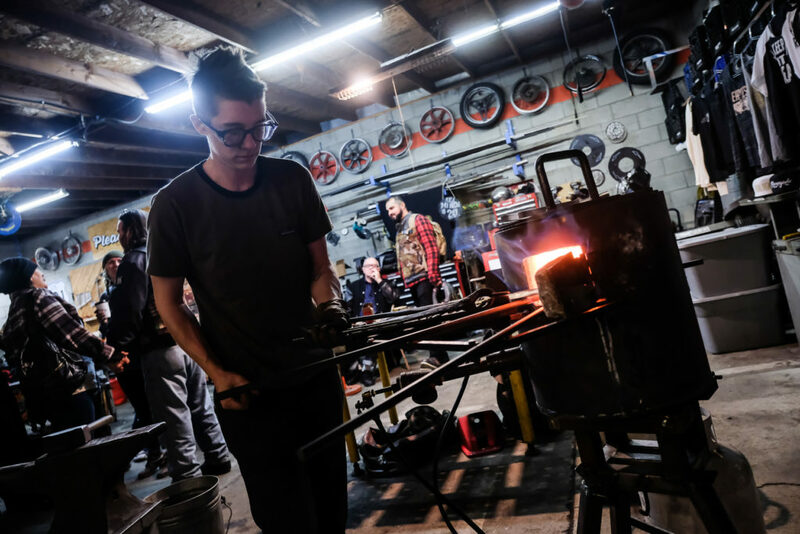 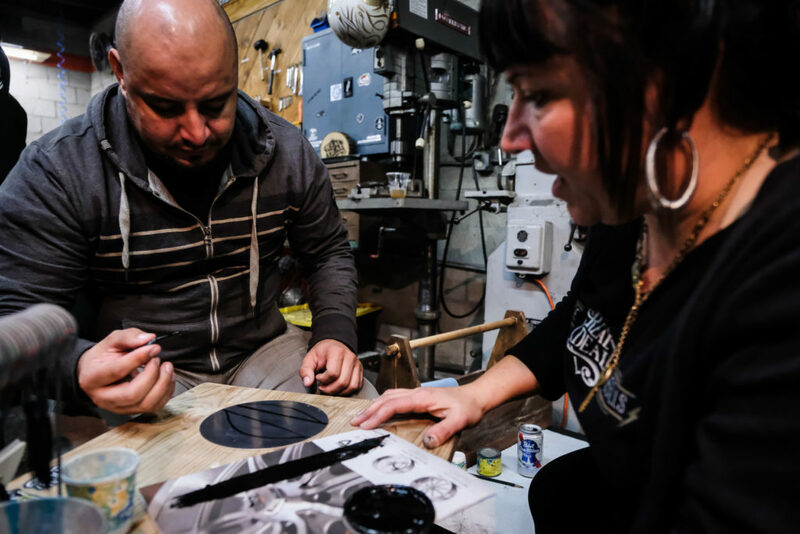 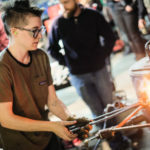 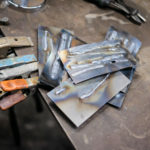 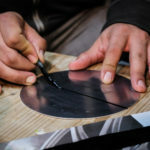 Over 70 people learned to weld with Jessi Combs in the Real Deal Revolution demos, which also featured Theresa Contreras teaching pinstriping, and Joy Fire showing folks how to shape metal in the classic art of blacksmithing. 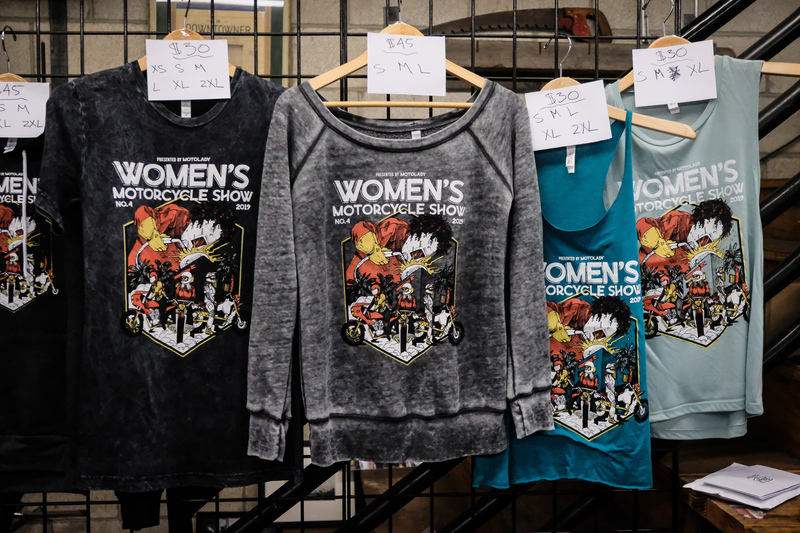 The Women’s Motorcycle Show merch booth was set up next to the raffle area, right across from the Lucky Wheels bar which had margaritas on tap! 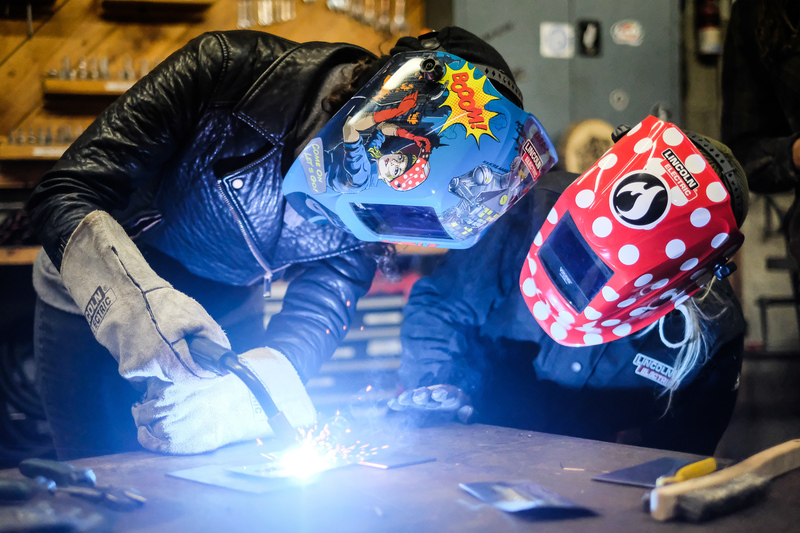 Shout out to Amanda Zito (Blind Thistle) for the amazing work she did on this year’s WMS artwork! 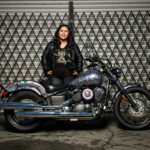 The Indian Motorcycle FTR was on display in the front of the show for people to check out and sit on. 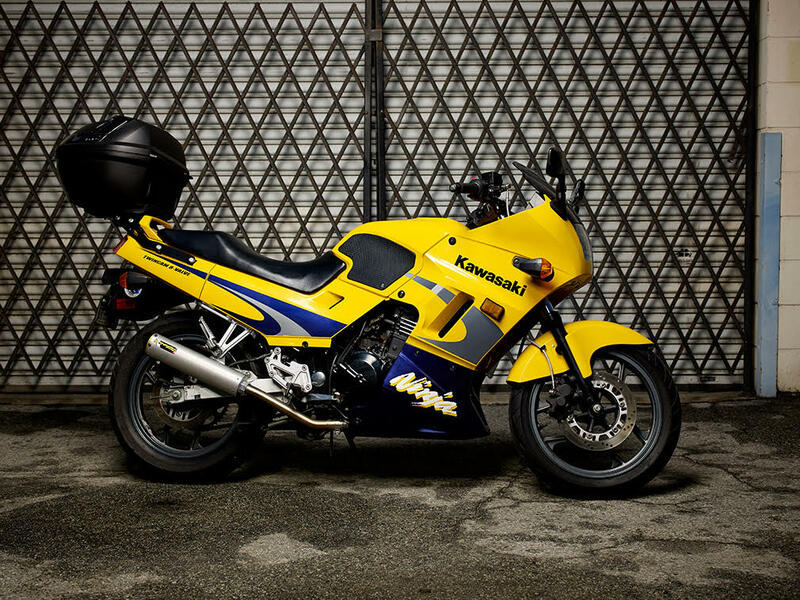 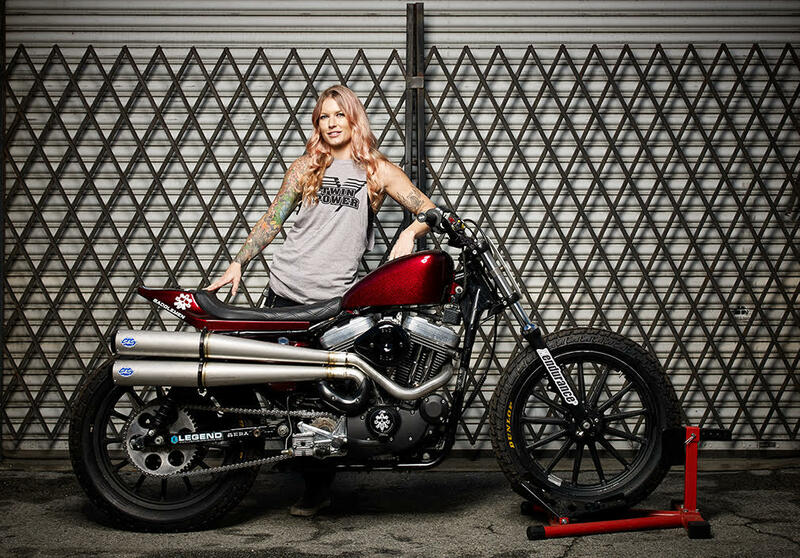 But without further ado… here are the motorcycles of Women’s Motorcycle Show. 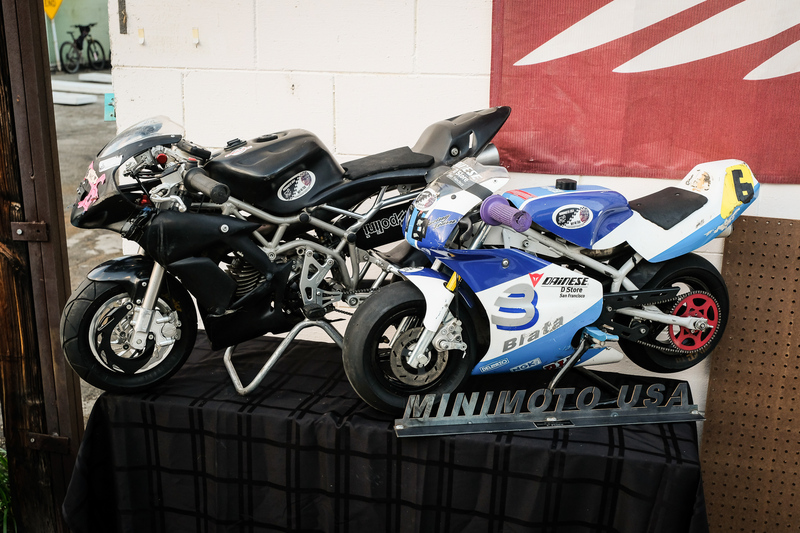 There were also two minibikes raced in the MiniMoto USA GP from Paul and Emi Van Cleave. 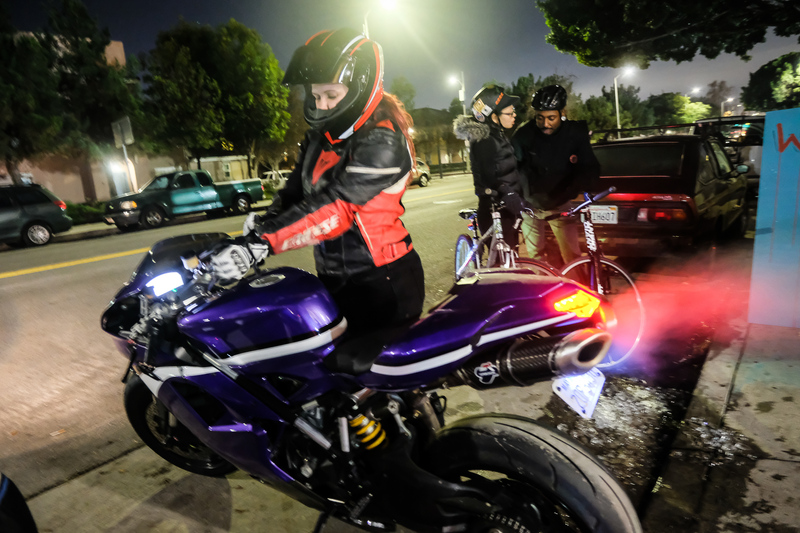 Not pictured above is Francesca’s purple 848evo. 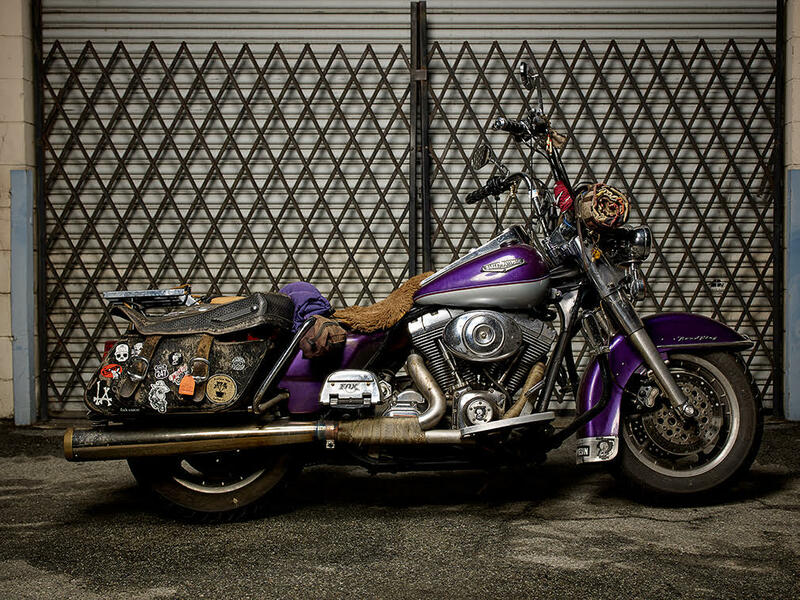 Speaking of which, she won the Modern Mama award! 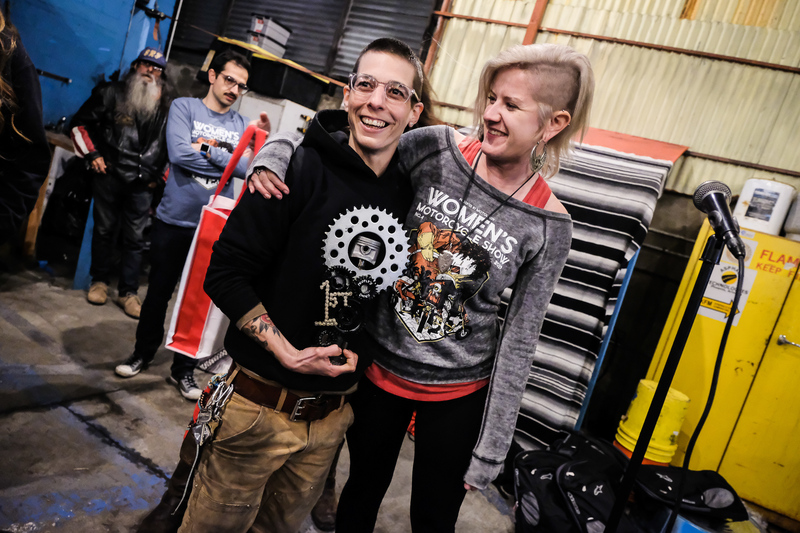 We had a total of five awards- Modern Mama, Going the Distance, Old School Cool, Best in Show, and People’s Choice. 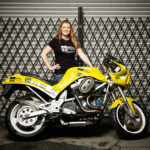 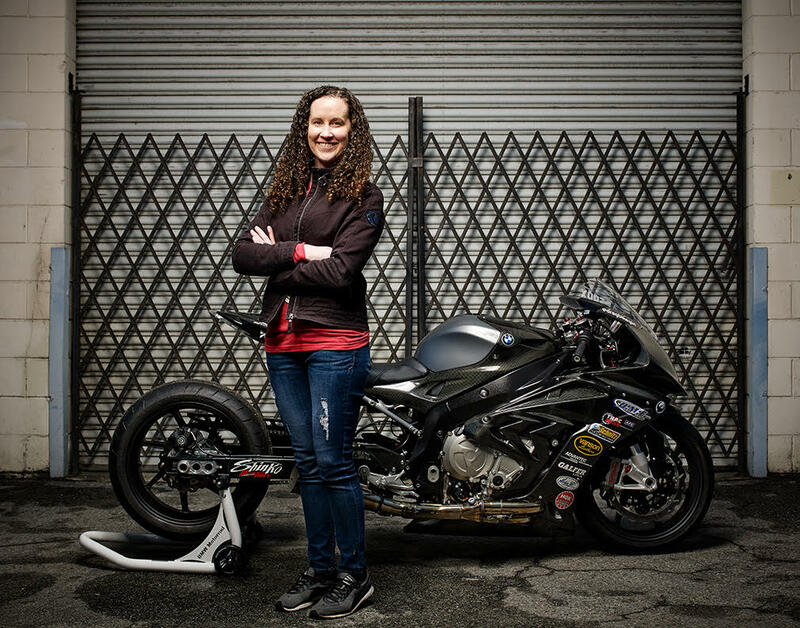 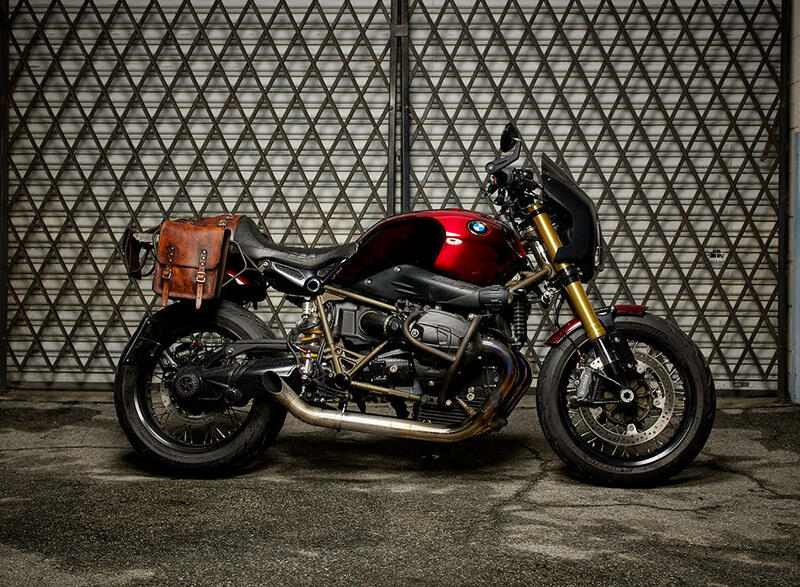 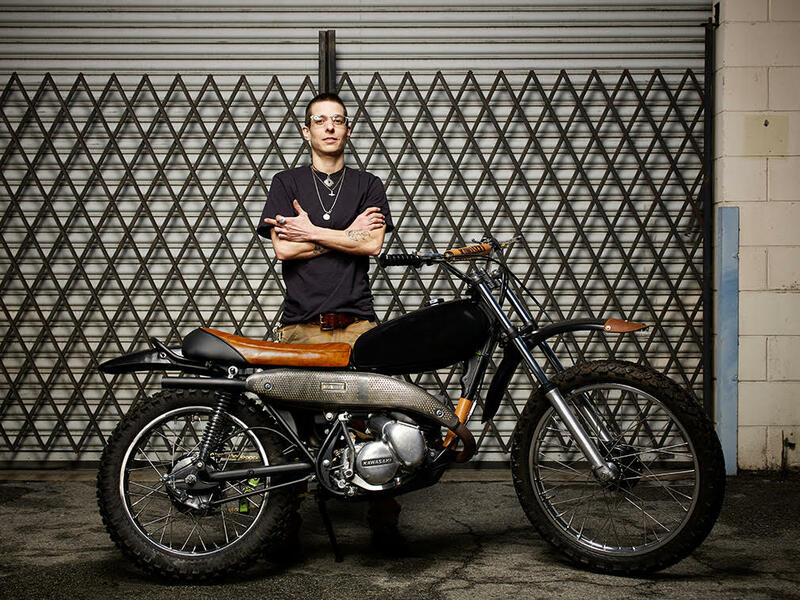 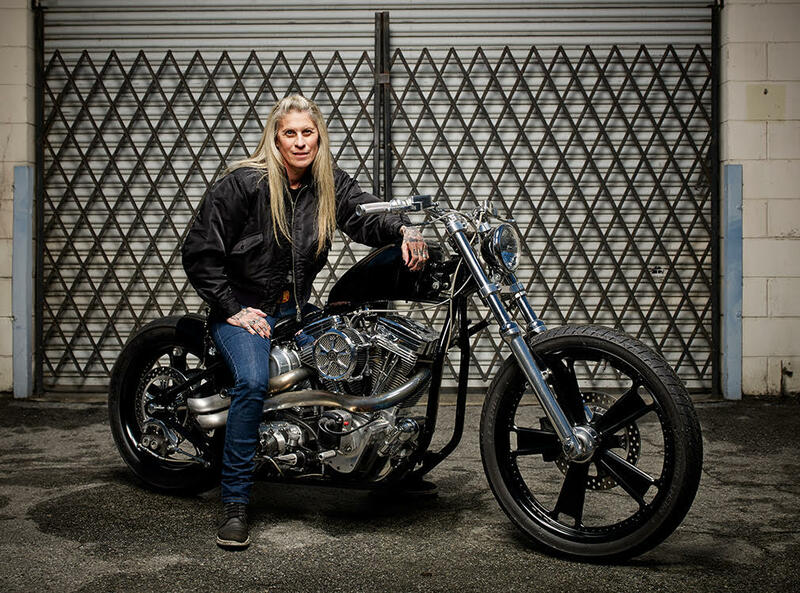 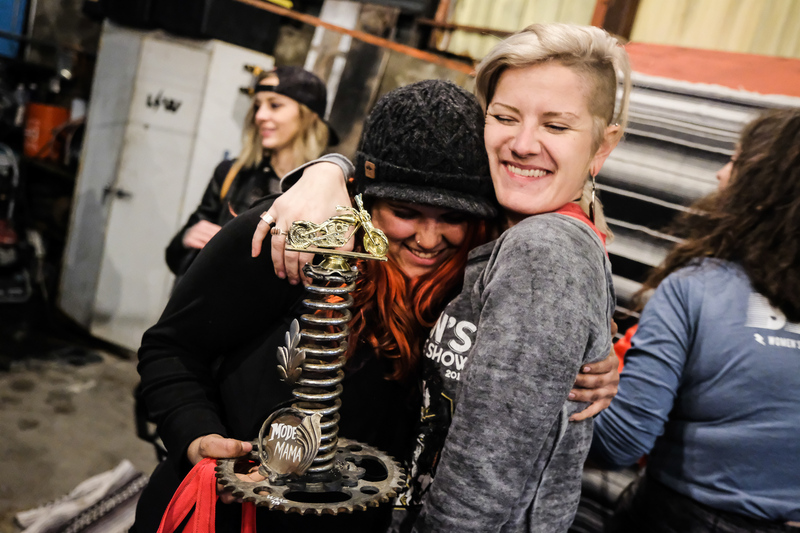 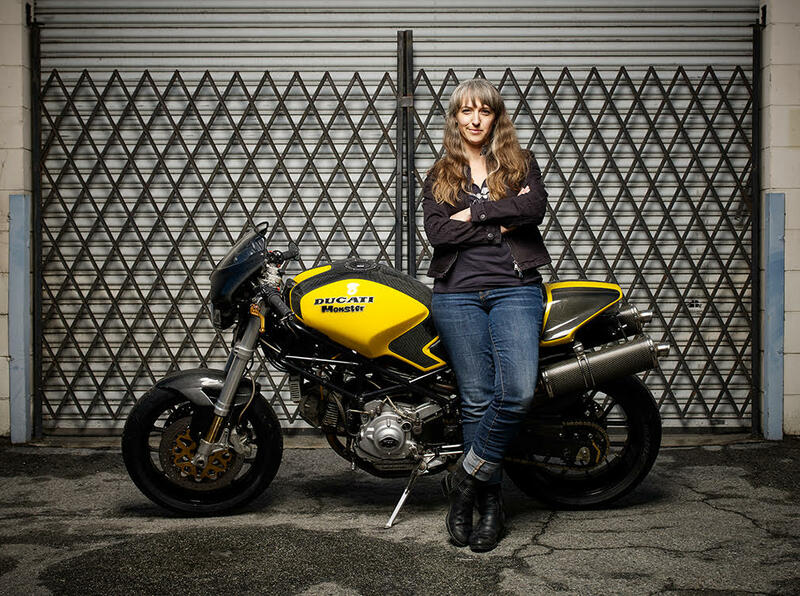 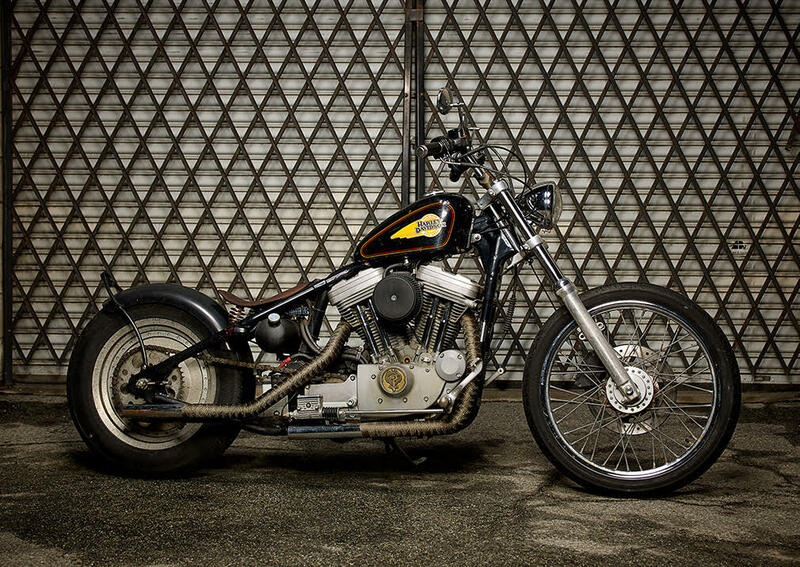 Two of said awards were taken home by Amanda Steele (IG @jwhatsaidwhat)– she received the Going the Distance trophy for bringing her show bike all the way from Denver, AND scored People’s Choice! 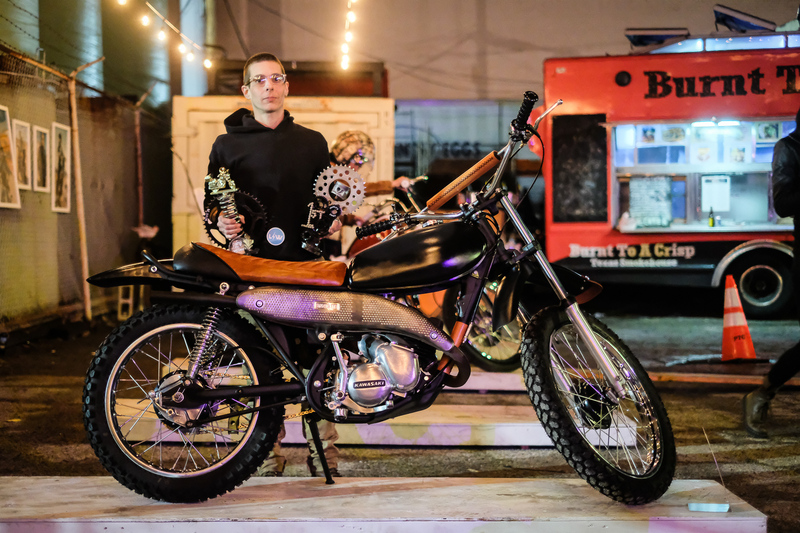 The PC trophy built by Sofi Tsingos of GT-Moto came with a brand new Coleman minibike! 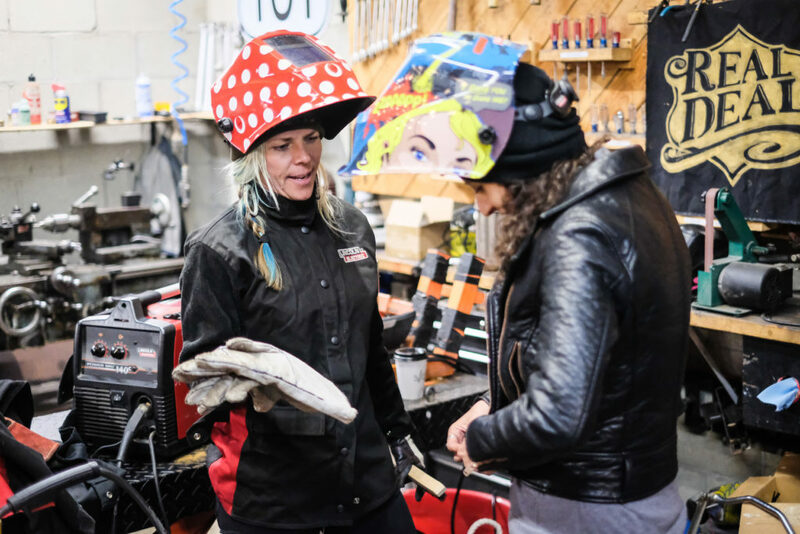 Thank you so much to everyone for being involved– the volunteers, Real Deal ladies, Lucky Wheels crew, and my mama for coming down from Portland to help! 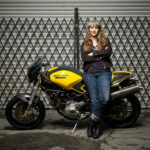 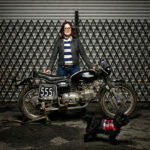 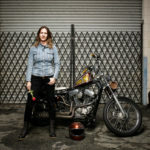 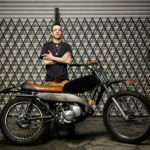 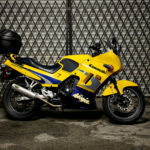 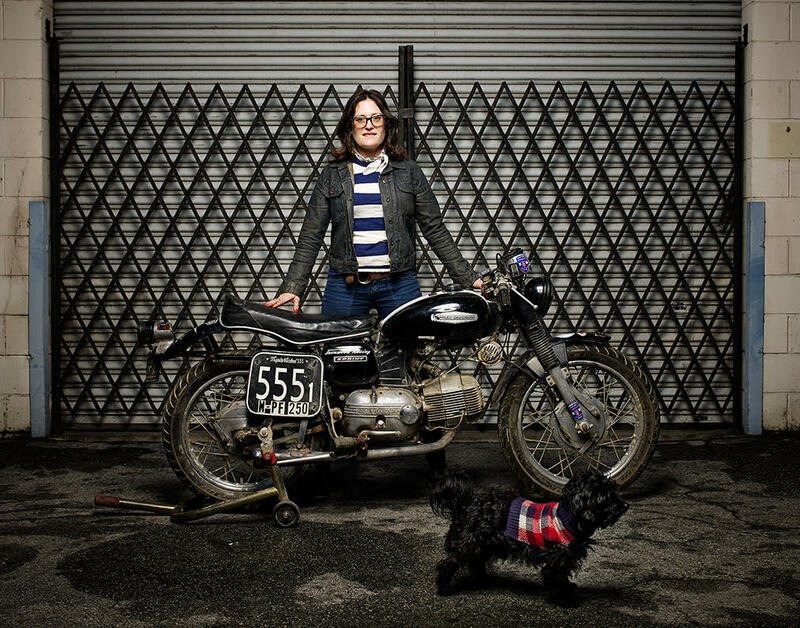 Check out ALL the photos on the Women’s Motorcycle Show website!